Having a health care provider that you can rely on is a great advantage to your health and wellbeing. At Eastbrooke Medical Centres, we value patient experience and provide extensive services with an emphasis on the highest possible quality for you and your family. We care about the community, and have made it our ultimate goal to provide comprehensive care for every aspect of your health with convenience of one centralised location. Our modern facilities give Eastbrooke doctors the ability to which they can provide you with the utmost level of care and treatment available. 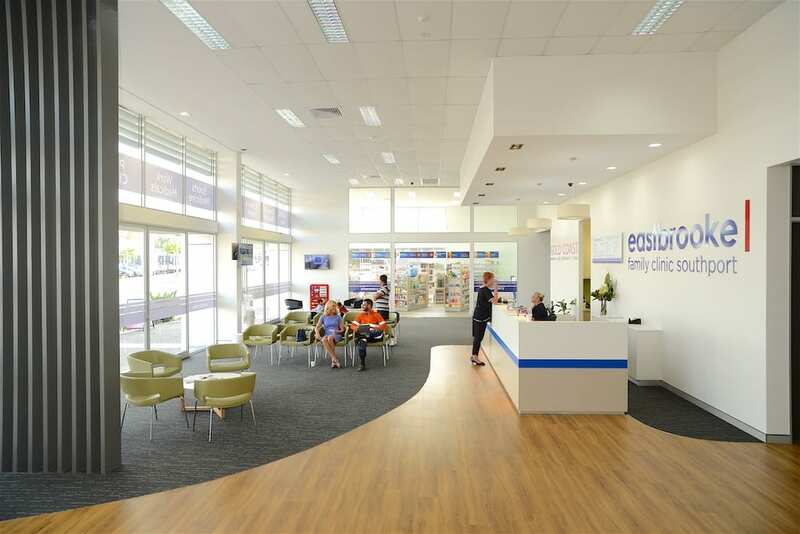 When you need an after hours doctor on the Gold Coast, Eastbrooke Medical Centres has you covered. We stay open seven days a week so that you can receive quality health care and we are committed to being there for you when it counts. We also offer onsite parking for your convenience. Having trust in your GP is important, which is why our doctors maintain a positive and approachable attitude so that you are completely comfortable when seeking treatment. When visiting an Eastbrook Medical Centre, you will be met with a genuine care for your health and an emphasis on quality of service. As a socially responsible medical organisation, we take all your questions and concerns seriously while doing our part to improve the health of the community. We aim to give residents everything they need when it comes to health care from the convenience of our fully equipped facilities in Burleigh Waters. From physiotherapy and sports medicine to a simple visit to the weekend doctor on the Gold Coast, Eastbrook Medical Centres has you covered. We provide our doctors with state of the art equipment to perform a huge range of treatments in both general and specialised areas so that you can get everything you need from the one location. If you are a new patient, give our Burleigh Waters medical centre a call on (07) 5568 6000 to enrol your details and become part of the Eastbrooke community. Once you are in the system, appointments can be made online with ease — whether it’s a routine check-up or you need a last minute weekend doctor our Gold Coast team is here to help.